Classic Pre-war Charm With Modern Elegance. This Spacious One Bedroom Apartment, Is Located In A Historic Landmark Building In The Heart Of Chelsea. With Ceiling Heights Over 10 Feet And Oversized Windows Letting In The Sunlight, You Can Enjoy Classic New York Views Throughout The Day. Spacious And Sleek Open Poggenpohl Kitchen Featuring White Cabinets, Top-of-the-line Appliances (miele, Sub-zero And Thermador) , Corian Counter Tops, And A Custom Designed Island - Perfect For Dining, Entertaining, Or Extra Counter Space For Those Who Love To Cook. The Enormous Bathroom Is A Relaxing Oasis, Featuring A Waterworks Chord Deep Soaking Bathtub, Double Sinks And A Separate Large All Glass Rain Shower. 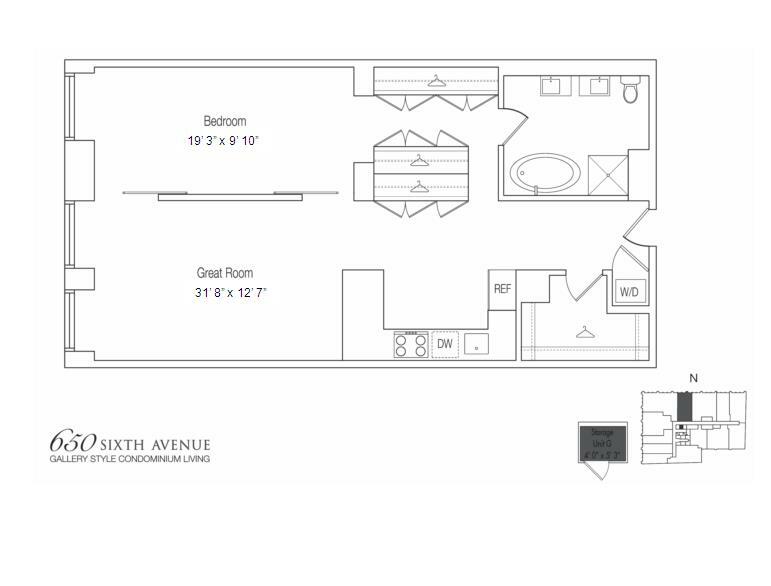 Ample Closet And Storage Space Throughout The Apartment, Including A Huge Walk-in Closet In The Foyer, A Separate Dressing Area With Built In Closets Off The Master Bedroom, And Custom Closet Space In The Living Area. The Apartment Has The Added Beauty Of A Juliet Balcony Off The Master Bedrooms Window, Letting In The Exterior Pre-war Charm Of The Building. Washer And Dryer In The Apartment And An Additional Private Storage Room Located Just Outside The Apartment. White Glove Building Featuring 24 Hour Doorman, Gym And A 3600 Sf Roof Deck Garden With Stunning Open Views. Located In The Heart Of Chelsea, Steps Away From Union Square, Madison Square Park, Shopping, Dining And Transportation.